Nestled on the banks of beautiful Lake Norman are the towns of Cornelius, Davidson, Huntersville, Mooresville and Denver. These unique towns present a wide array of neighborhood options and homes. Some of Lake Norman’s leisure activities include golfing, NASCAR, fishing and other water sports. It is the largest man-made lake in the Carolinas and measures 34 miles long with 520 miles of shoreline. 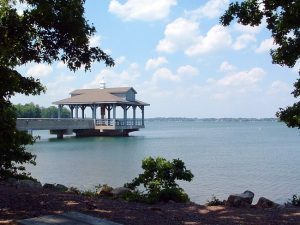 Lake Norman is a great place to live and enjoy fun in the sun.